It’s a monstrous maze of a mansion, built by a grief-ridden heiress. 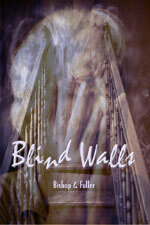 A tour guide, about to retire, has given his spiel for so many years that he’s gone blind. On this last tour, he’s slammed with second sight. He sees the ghosts he’s always felt were there: the bedeviled heiress, her servants, and a young carpenter who lands his dream job only to become a lifelong slave to her obsession. The workman’s wife struggles to make it to shore, but he’s cast adrift. And the tour guide comes home to his cat. A year after his co-creator Lainie’s death, an acerbic veteran puppeteer struggles to build a solo show. But what Albert Fisher intends as a lightweight spoof turns sharply personal, and he births a raw myth of loss. His aging, pot-bellied Galahad, bereft of youthful vision, launches a second mad quest for the Holy Grail. 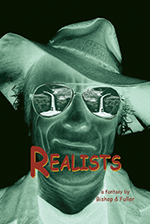 To follow, his wife secretly disguises herself as their frail, androgynous Fool. As the show evolves, Albert finds kinship with his grieving hero and opens to the risk of new love. 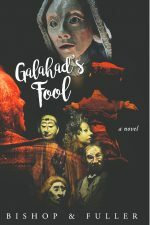 A new, expanded edition of unique comedies, nightmares, and quirky dramatic portraits drawn from 45 years of touring by two of America’s landmark theatre ensembles. They have also been produced by numerous schools, colleges, and theatres throughout the US. This work has a cabaret spontaneity and ferocity combining laughter, insight and shock that should penetrate the protective shield of any audience. 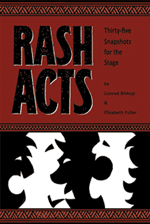 Rash Acts’ innovative style and use of language carve out new territory for the American short play. 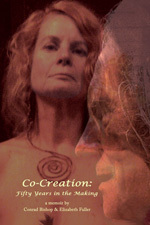 Spanning five thousand years of human experience, Mythic Plays includes four dramas evolved from collaboration with American theatres by playwrights Conrad Bishop and Elizabeth Fuller and The Independent Eye. 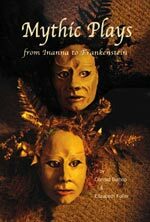 From Greek myth (Medea/Sacrament), Norse saga (Ragnarok: Doom of the Gods), Sumerian archetype (Descent of the Goddess Inanna) and Mary Shelley’s “Modern Prometheus,” Frankenstein, these plays offer highly readable models for a synthesis of poetry, visual theatre, and the immediate reality of myth. Three one-acts, including A Friend from High School, Get Happy, and Success, plus Family Snapshots and Dividing Lines, a medley of 30 micro-plays. These pieces for the stage range from the comic pathos of a widower bedeviled by telemarketers, to the stark confession of a man who has murdered a young boy, to the farcical warfare between four sets of apartment-dwellers, and more. 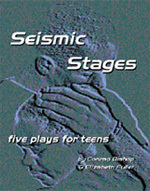 Seismic Stages is highly recommended for school and community theatrical collections and is enhanced with prefaces revealing how the individual pieces were engendered and suggestions for staging them.